For more than two years, Allen suffered from severe pain in his knees, due to advanced arthritis in both joints. He was not able to get a decent night’s sleep because of his knee discomfort, and walking anywhere was a chore. 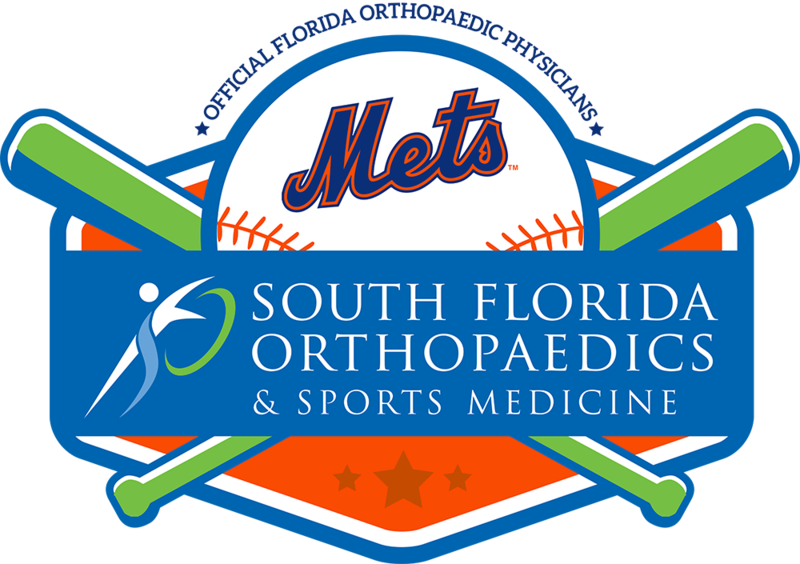 All that changed after Allen underwent total knee replacement surgery with Steven K. Jordan, MD, FAAOS, a board-certified orthopaedic surgeon at South Florida Orthopaedics & Sports Medicine. Osteoarthritis. Normal wear and tear combined with age produce this form of arthritis, but it can affect younger people as well. The delicate cartilage between the knee bones erodes over time and gradually withers away leaving bone on bone contact within the joint. Rheumatoid arthritis. This disease causes swelling of the synovial membrane that encapsulates the knee joint. The persistent inflammation can injure and wear away the cartilage causing discomfort and stiffness. Post-traumatic arthritis. A severe knee injury or trauma can impair the cartilage, ligaments or the bones of the knee joint and alter the mechanics of the knee causing it to become stiff and wear out more quickly. When Is Total Knee Surgery Recommended? Total knee replacement can be performed on most patients regardless of age or weight. A patient’s discomfort and disability are the prime criteria for surgery, not age. However the majority of those undergoing knee replacement are over fifty. Extreme deterioration of the knee joint due to arthritis or injury can come with crippling discomfort and prevent people from engaging in normal, everyday activities such as going for walks going up and down stairs, and even when sitting down or sleeping at night. When conservative treatment measures like physical therapy, cortisone injection, and pain medicine fall short of relieving the pain, total knee replacement surgery may be the answer to allow patients to get back to doing the things they love. Allen’s relationship with Dr. Jordan goes back more than two years. He appreciated that Dr. Jordan took time to evaluate his injuries properly, and exhausted all available treatment options before recommending surgery. “Dr. Jordan did not rush me into surgery which I thought was a good thing,” says Allen. “Then it finally got to the point where one knee was bone on bone, and it just started to bow a little bit. Total knee replacement surgery, or total knee arthroplasty, was first performed in the U.S. half a century ago. Since then, over 600,000 total knee replacements are performed every year, making the procedure one of the most sought-after and successful surgeries. Most surgeons stress that surgery is only the first step on the path to full recovery and mobility. Arduously following a rehabilitation program under the guidance of a qualified physical therapist is crucial in getting the muscles around the knee back to where they were before surgery. Allen had a total knee replacement done on both knees within three months. One year later, he was fully functional, and walking and sleeping completely pain-free.